Jon Petronzio displays a deep understanding of the soul of music. With hooks that get stuck in your head and bounce around for days, to lyrics that make you think or make you smile, "Light At the Speed of Life" is one of those collections that prove the album format is not only not dead, but has as much meaning today as it ever did. From the upbeat, roots-style "Who Do You Love" to the darker message of "Mankind Suicide" to the love-lost lament of "Crying For So Long", these songs run the gammut of human experience, and put Road Man squarely on the map of relevant, meaningful and downright good-to-listen-to music. The art is a breath of fresh air in regards to soul music genre in general. Roadman takes the listener on a journey from the floors of a gospel church, to the beaches of Jamaica, to the mirror balls of a disco night club all within one record with a nice touch of hard rock at the right moments for that nudge just over the edge into contemporary. One can also hear the distinct influence of the Beatles in regards to the vocal melodies and chord progressions on certain tracks. Another pro feature of this record is that it also leaves you singing the tracks days after hearing them as the craftsmanship of each song is equal to that if not beyond Roadman's current peers in regards to his career thus far. The composer's voice also has a pleasing and professional quality that will 100% sell records if marketed to the correct demographic intelligently. Roadman will also no doubt be in the ears of every jBB fan and beyond for years to come as we eagerly await his next record. A+ Debut! Excellent musicianship, great execution, killer songwriting and genuine honesty and conviction underpin this effort. Petronzio is a force to be reckoned with! Buy this album, you will not regret it! Each time I listen to this album, I have a new favorite song. Start on Track one and let it play!!! No matter who you are, or where you are on your life journey, music always wields epiphanic power. It can mend the sick, enliven the downtrodden, and give direction to the lost. 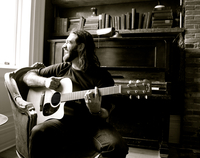 Storytelling singer-songwriter Jon Petronzio is a former child piano prodigy who has blossomed into a virtuoso musician highly regarded in the jam band scene. But seven years ago, after he established himself with an acclaimed career as a professional musician, Jon began tinkering with some musical ideas that would lead to the most transformative time of his life. 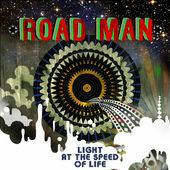 The results of this profoundly life-changing time is his solo project, Road Man, which brims with an invigorating mix of funk, blues, reggae, mystical enlightenment, introspection, and environmentalism. He calls the debut album from this creative outlet, Light At The Speed Of Life. “I describe this music as my light at the speed of life. Life is an incredible gift... we are afforded only a finite span of time to learn, grow and accomplish something meaningful,” he says. “I believe I may have found my voice and my purpose through this unfolding of this project - something that's taken seven years to reach completion". 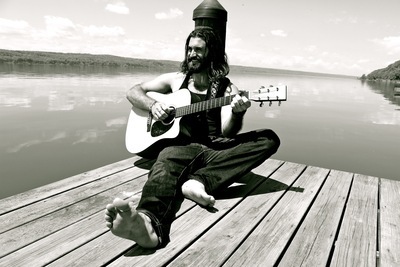 Jonathan Petronzio grew up something of a natural musician. By age 12, after studying jazz and classical music with a highly regarded piano teacher, he was earning money playing ragtime music at an ice cream parlor. Jon would go on to earn a BA Music Education from Ithaca College School of Music. Upon graduation, he formed the funk band Revision. That band recorded six albums, averaged 150 shows a year. Recently, Jon’s been touring and recording with future roots music innovators John Brown’s Body. He’s toured extensively throughout the country with the group, sharing the stage with acts such as, Sublime, Groundation, Freddy McGregor, Galactic, SOJA, and the Easy Star All-Stars, among many others. The two albums he’s recorded with the band have both topped Billboard and iTunes charts at #1. Road Man was created away from career hoopla, and it basically created itself in three distinct phases over seven years. The first phase began with Jon learning recording software for his own edification; his explorations yielded upwards of 250 demo ideas. The second phase involved him consciously whittling that body of work down to 15 songs, and tracking the finished music and co-producing with Alan Evans of Soulive and an all-star lineup by way of John Brown’s body. The third phase of this process, writing lyrics to the finished music, was the most daunting and profound. “That was something of an existential journey. There I was with all this finished and completely produced music, and it was like singing karaoke to my own songs,” he recalls, laughing good-naturedly. Writing the words for tracks while holed up in his Ithaca home, alone in the dead of winter, he went on something of a spiritual adventure tapping into his subconscious, exploring medicinal ceremonial rituals, and playing intriguing William Burroughs cut-up exercises with a set of magnetic poetry words and phrases.